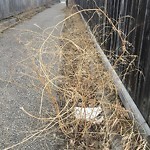 The pathway between 275 and 279 Edgebrook Rise NW is very overgrown with weeds and littered with garbage. The west fence of the green space at the outlet of this path is also heavily littered. 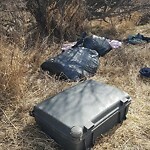 >>>311 Response - forwarded to Bylaw for review and action>>> Abandoned homeless camp in bush. 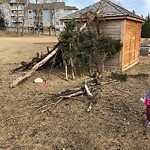 Plastic tarp hanging in tree. 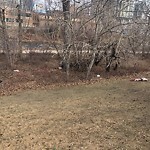 Garbage on ground in thick bush. 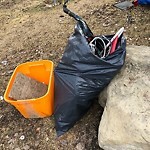 A bag of wire, a bin of crap, and a bunch of bike parts under a tarp are at the west end of Nimmons Park. 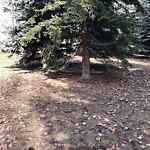 19 ave and 1street SW. 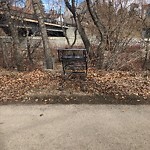 Walk over bridge and then down under bridge, cart is on the east side under bridge. 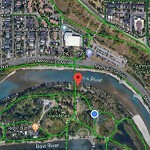 1street and 19 ave SW, walk over bridge and follow pathway towards the RepsolSport center, keep on pathway walking east once you get to north entrance at Repsol the debris is directly down hill towards Bush.